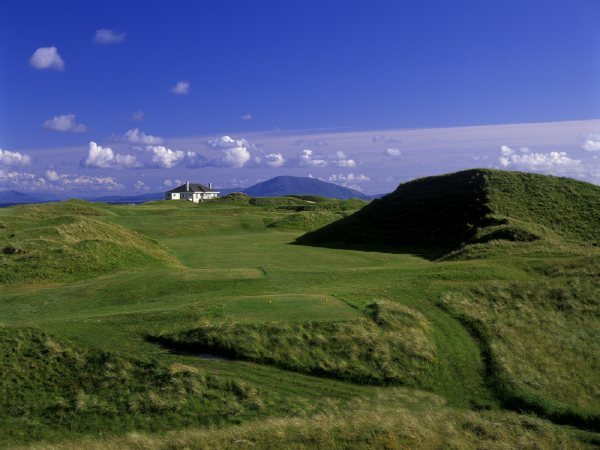 " /> Carne Golf Links lies in magnificent unspoiled sand dunes overlooking Blacksod Bay and the wild Atlantic Ocean near Belmullet Co. Mayo in the west of Ireland. 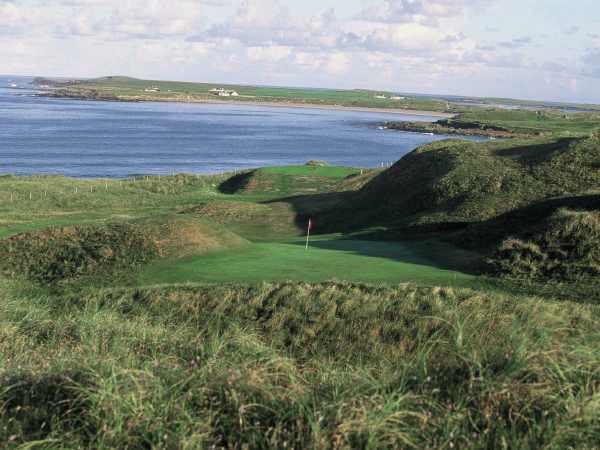 It was the last links course to be designed by the late Eddie Hackett and it is now believed by many who have played it to be his greatest challenge. 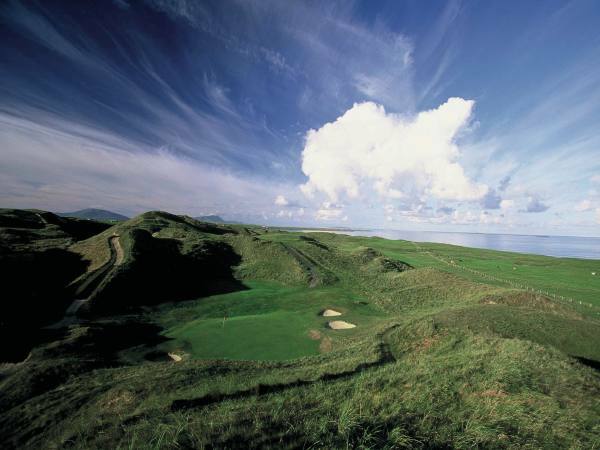 Dominated by towering duneland, the course is set in 270 acres which must be walked to appreciate the dramatic changes in elevation. The building of Carne has caused little disturbance to this wild and ancient landscape. Tees and greens occurred naturally and very little earth moving was involved in the course construction. There are some breathtaking views over the Atlantic and the legendary islands of Inis Gloire and Inis Geidhe. Meanwhile, locals point with pride to the 164-yard second, where Christy O'Connor Snr had a hole in one with a six iron on an early visit there.